Mobile forms automation software assists with the creation of transferable documents and data that can be accessed remotely or otherwise. It allows members of an organization to remain connected by providing workflows and allowing the submission of forms in real time, frequently allowing users to connect offline. These workflows can notify users of changes so progress is not halted at any point in the process. It helps team remain updated on tasks, work orders, and other assignments. The software provides helpful analytics from data retrieved, offering organizations insights and the potential to create dashboards. Forms automation tools often integrate with a company’s existing IT systems. Mobile Forms Automation reviews by real, verified users. Find unbiased ratings on user satisfaction, features, and price based on the most reviews available anywhere. ProntoForms is a leading provider of smart mobile forms for enterprise. The Company's solution is used to collect and analyze field data with smartphones and tablets – either as a standalone solution or as a mobile front-end to corporate systems of record. The Company’s 100,000+ subscribers harness the intuitive, secure, and scalable solution to increase productivity, improve quality of service, and mitigate risks. GoCanvas is a mobile platform that makes it simple for any business to automate how work is done; replacing outdated process and expensive paperwork. 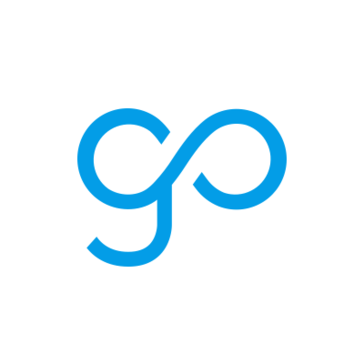 The GoCanvas App works on all smartphones and tablets, helping over 6,000 users in 70 countries easily collect information across their organization, share it instantly with others and gain real-time insight on their business operations. And with over 20,000 downloadable mobile form templates to choose from, GoCanvas has the industry's largest selection of ready-to-use mobile forms. Streamline, automate, and transform your business solutions with rich forms, process automation, and custom mobile apps. Easily create surveys, quizzes, and polls. Fulcrum, a product of Spatial Networks, is a leading cloud-based mobile forms software and data collection app that enables organizations to build custom forms using a drag-and-drop builder. (No coding necessary!) Field workers collect geo-tagged data accurately and efficiently using their iOs or Android devices, with or without internet connectivity. More than 47,000+ organizations across 180+ countries use Fulcrum to streamline their workflows and optimize the way they leverage their data. Spatial Networks also has data collection services available. Our collectors acquire granular, street-level information on physical structures, demographics, local sentiment and more to produce true business intelligence for our customers. Device Magic is a mobile forms software and data collection app that replaces your paper forms with customizable mobile forms. Deliver accurate data from the field to the office in real-time. Build your forms using our simple drag-and-drop online form builder. Collect data without an Internet connection using your own mobile devices. Deliver data in whatever format you choose - email, text, custom PDF, and more. Build a data collection solution and automate your business data workflows. Integrate with the business tools you're already using, like Box, Slack, Evernote, SQL, Zapier, and more. Replace paper forms with tablets and phones using our cloud software and reward your people with the most advanced, rich mobile data collection and workflow system on the planet. Work offline and get the latest versions of your most important things - like forms, data sources, documents and tasks - on whatever device you're using. Create beautiful reports using your favorite productivity applications: Word & Excel. Fast design, beautiful outcomes. Our drag and drop designer goes beyond anything you’ve ever used. Our expression logic engine is easy to learn, especially if you’ve used spreadsheet formulas. The platform is jam-packed with 900+ advanced integrations that send or receive data swiftly between your favorite systems, including Zapier, Google, Microsoft, Amazon, Box, Dropbox, Twilio, a Custom API and our email connector. The workflow engine will transform your business, from pre-designed routing to rules-driven and user defined workflows, no task is ever left undone. Gravity Forms is the Easiest Tool to Create Advanced Forms for Your WordPressPowered Website. As a global leader in business process management software, ProcessMaker automates forms-based, approval-driven workflows that improve the way information flows between data and systems. ProcessMaker is recommended for corporations, governments and other organizations looking for an enterprise scale, production-ready BPM software that is is available both in the cloud and on-premise. GoSpotCheck offers field team task management and reporting solutions for leading brands, including PepsiCo, Beam Suntory, Levi’s, Sav-A-Lot and Dairy Queen. Available via web browser, iOS and Android apps, GoSpotCheck’s platform enables brands to more effectively communicate with their field teams, gain ground-level visibility, and drive sales with actionable data. With industry specialties in wine, spirits, and beer companies, consumer goods, retail and restaurants, GoSpotCheck enables companies to deploy Missions to their employees quickly and get data back to management immediately. GoSpotCheck serves two core functions: task management for your field team, and data reporting for your management team. GoSpotCheck’s roles and permissions enable People to be assigned to specific Places and Missions within your company’s dashboard, and the web app dashboard provides insightful analytics and actionable data. GoSpotCheck is a powerful field execution tool for businesses to distribute tasks, communicate goals, and drive company-wide visibility. Actionable data is just a few clicks away. Request a personalized demo today for more information. PDF Share Forms solution enables business users to use PDF forms in Microsoft SharePoint. iFormBuilder is a mobile data collector that gives users the ability to create and operate forms for image and audio recording, signature capture, offline data collection, GPS, mapping, and more. iFormBuilder supports customers in a variety of industries including engineering, agriculture, utilities, healthcare and NGOs. FastField is a Mobile forms and data collection software. Kizeo Forms is a flexible and innovative forms automation software. Create customized forms on the online platform to meet your needs by incorporating various elements to your form such as barcode scanning, checkboxes, digital signatures, geolocation, contact, slider, calculation, NFC Tags, lists, tables, text, numbers and so much more! Fill out your form from any mobile device or tablet from any location, even in areas without an internet connection! Furthermore, you can also create and send customized reports via email to multiple recipients once the form is saved. Save time, save money, automate various processes, centralize your data and improve your data collection processes with the Kizeo Forms application. Create forms such as crop monitoring reports, sales visit report, intervention reports, timesheets, maintenance reports, security reports, audit reports, home inspection reports and so much more! Crete your own forms or benefit from our Forms library that contain several pre-created form templates. Benefit from the 15 day free trial period. Start creating your customized digital forms today! SafetyCulture helps conduct safety audits and inspections with an easy to use mobile app and software platform. Actsoft Advanced Wireless Forms is designed to streamline business operations by turning any paper form into a wireless clone of the same. Avoka Transact is a software company focused on digital customer acquisition in financial services and government. Blitzdocs is a document automation and document assembly software. It helps to design and generate common and specialized documents and forms for a variety of purposes, including agreements, invoices, and letters. Formotus enables workers without programming skills to create powerful custom business applications using mobile forms. 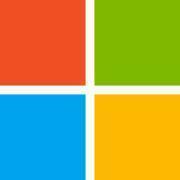 The Formotus online creator lets anyonen build data collection forms that run in Formotus mobile apps on iOS, Windows and Android devices. HelloWorks converts documents and forms into intelligent workflows. Kordata allows businesses to collect data remotely and transmit it securely through a cloud-based software. logiforms is Professional Grade Form Software, powerful and flexible enough to meet your projects needs. Whether you manage a team of field engineers, run a fleet of vehicles or simply need to get key information back to the office, proForms® can transform the way your company works. Pruvan is a next generation mobile app that connects service businesses to the field and clients with tamper-proof and certified photos, videos, and mobile forms. Zerion transforms the way organizations capture, use, and manage their data. Abledoc helps to acces to documents from the internet. Route items between people to improve productivity and reduce costs. AllOnMobile is a forms automation software help to take forms and jobs and enable them for access through iOS and Android-based tablets or smartphones. Anvil converts your pile of paperwork into one simple web form. Eliminate data-entry and followup. Provide a simple and beautiful web experience. Keep your existing workflows. ASC Forms is a webbased, forms management or records management solution that provides organizations the ability to securely create and capture flexible levels of information on custom, definable forms or records online from the point of submission to secure database management. AutoPDF is a PDF form automation solution. It manages creation of PDF templates and allows for upload to AutoPDF servers. Users can be emailed copies of completed PDFs. Borneosoft Online Forms & CRM is a solution to create and publish forms, make mobile friendly forms without additional steps, accept credit/debit card and PayPal payment and subscription/recurring payment, use spreadsheet and formulas to auto calculate payment total, or discount, accept gift voucher, create multi-tabs/pages form, and include conditional logic into the form. Chameleon Forms allows users to forget lost paperwork, late submissions, chasing papers, filing and scanning documents, use phones and tablets to truly go paperless. Cloud based solution. eSurvey transforms any BlackBerry smartphone into a powerful forms manager and an efficient multimedia data collection device. Datadroid is a mobile data capture solution using electronic forms. Digi Clip lets you lose the paperwork, and cut out the time of chasing down the documents. Replace paper forms with mobile forms in minutes. EasySmartForms will make your processes more efficient. They reduce the time taken to record and use information, are cost effective and have a simple licence model. Completing forms has never been easier than eLock Doc's consistent and guided form filler. Regardless of complexity or output format, all types of forms can be filled out in easily using a standard form filler from the web or a mobile device. With FastField, its takes just a few minutes to create forms or to turn paper forms into intelligent, interactive mobile forms that work with mobile device. Creates file request links or embeddable forms that go straight to your Google Drive or One Drive account. Flowfinity is flexible software for building end-to-end business process applications faster. It enables IT professionals and citizen developers to create sophisticated workflow solutions with a point-and-click interface, not code, significantly reducing deployment time and maintenance costs of mobile applications. Flowfinity combines web-based application building tools, a cloud database, dashboard reporting, and cross-platform mobile apps for smartphones and tablets. 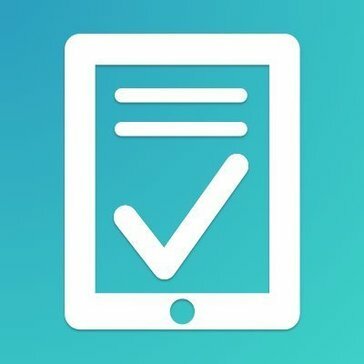 FormConnections is a software company that has created an app for creating custom forms for collecting data on your iPad or iPhone. Hi there! Can I help you find the best Mobile Forms Automation solutions?